Let’s say that you have a GPO that is scoped to a specific security group. If you add a computer to this security group, you would normally need to restart in order for the computer to see that it is now a member of this group. To bypass this, you can delete the system’s Kerberos ticket and run GPUpdate. The computer will magically see its new group membership without a restart. The system account on every computer (no matter the OS) has the same low part of the locally unique identifier (LUID). In the command above, that input is 0x3E7. To run this command remotely, you can use something like the Right Click Tools in SCCM or PSExec. After running the command above, be sure to start a gpupdate. And on a completely unrelated note – I recently helped an organization after they had a complete AD meltdown. Unfortunately, they had did not have a DR plan in place. If you haven’t, spend a few hours this week and create/review your plan. Ensure you have backups and that you follow Microsoft’s best practices. If you don’t know where to start, see this link or contact me. As you all know, I’m a huge fan of shortcuts. I wanted to share four very simple batch files that will help you fix problems faster and get the information you need quicker. You can create the batch files manually or download a .zip from here. Save the files in the root of your user profile for quick access. To launch any of the scripts, open the Run dialog – type the name of the script followed by a remote computer name. Purpose: Super fast access to a remote computer management MMC. From here, you can see event log errors, look at device manager, modify local group membership, etc. Purpose: Launches continuous ping on a device. Allows you to quickly check a machine for a network connection. For me, it doubles as a reminder because I will restart a machine and forget about it. The constant ping reminds me to follow back up on the problem. It is a simple version of this restart monitor. Purpose: Creates a remote System Information window. From here, you can see the machine OS, hardware information, printer connections, etc. The four tools above aren’t what I would consider as exciting technology but I hope they help you out. Taken together, they are the tools that I use most everyday. What crucial tools or scripts do you have to share? An update to this post (that covers Windows 10) is now available here. You are checking the helpdesk and a new problem rolls in. You know the solution but you (the administrator) will need to login. You immediately remote into the machine only to see that the user is showing a presentation or actively using it. A) Call the user and have them log off so that you can start fixing the problem. The problem will get fixed but the user is interrupted for 20 minutes. B) Wait until later in the day and hope the user isn’t using their computer. The problem will get fixed at the end of the day but the user had to deal with it all day. 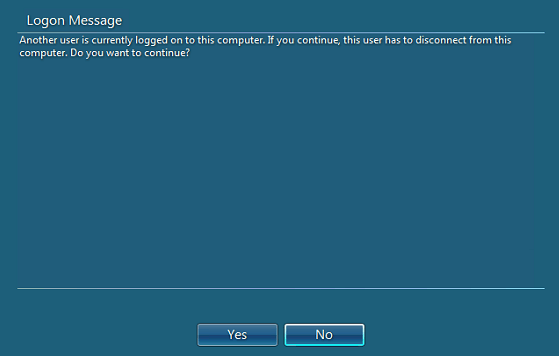 C) Use RDP and log into the computer. The user is able to continue the presentation. You are able to fix the problem in the background. Everybody is happy!